In preparation for last night’s Oscars, I decided to watch a couple of the best picture nominees available on OnDemand. (I have a baby, unless the movie is from the TWILIGHT or HUNGER GAMES franchises, it’s hard to get me to the theater.) Anyway, the DH and I watched MIDNIGHT IN PARIS and TREE OF LIFE. One was totally awesome and left me contemplating moving to Europe, the other made me wonder how someone can turn an ‘80s Calvin Klein Obsession ad into a 2.5 hour feature film. If you haven’t seen TREE OF LIFE, don’t. Please. This is a Public Service Announcement. Do not subject yourself to this weird, self-indulgent glimpse into some crazy director’s mind where it seems logical to tell the story of a 1950s family by starting with a 20-minute silent montage of the big bang mixed with dinosaurs. Seriously. 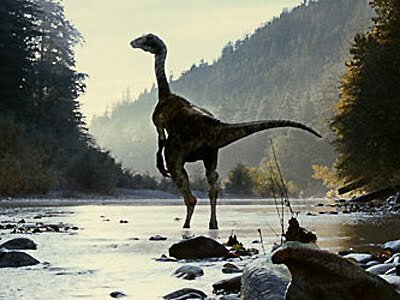 The movie actually cuts away from Brad Pitt and goes to CGI Jurassic Park dinosaurs for no discernable reason. I watched most of this film on fast forward and given that there’s hardly any dialogue aside from weird whispered voiceovers, I’m very confident I missed nothing. Now, on to the awesome flick. 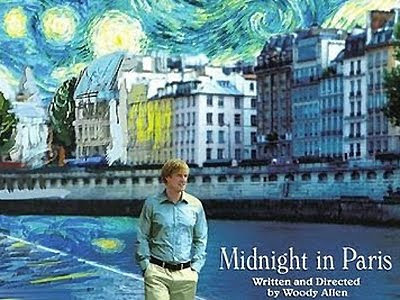 If you haven’t seen MIDNIGHT IN PARIS, do. It’s worth the $6 on OnDemand. Owen Wilson is still Owen Wilson, he could have easily broken into a bit from THE WEDDING CRASHERS and not skipped a beat, but the screenplay was insanely clever (obviously, it’s Woody Allen). And you know a film is good when afterward, you’re sitting on the couch and your husband turns to you and says, “We’re not moving to Paris. I know you’re thinking that.” I was. Now, I know what you’re thinking. Hemingway and Fitzgerald won’t actually be there. But still. Maybe the modern Hemingway is smoking a cigarette by the Seine right now. Wouldn’t you want to meet him or her? Trade manuscripts? Go to parties with artists like Picasso? And for some reason wondering around the streets of Philadelphia at midnight doesn’t seem like it would replicate the same experience. MIDNIGHT IN PHILLY is more the start of cop drama, or the next season of LAW & ORDER.